Are you paid what the job is worth; Is negotiating pay different for women? On July 1st 2018 The MA Equal Pay Law goes into effect. Why does that matter for women working in Massachusetts? You will no longer have to give your previous salary information to a potential new employer. Also, promoting more transparency, co-worker discussions on their pay will no longer be banned. These provisions in the law are there to encourage the tightening of the pay gap between women and men. 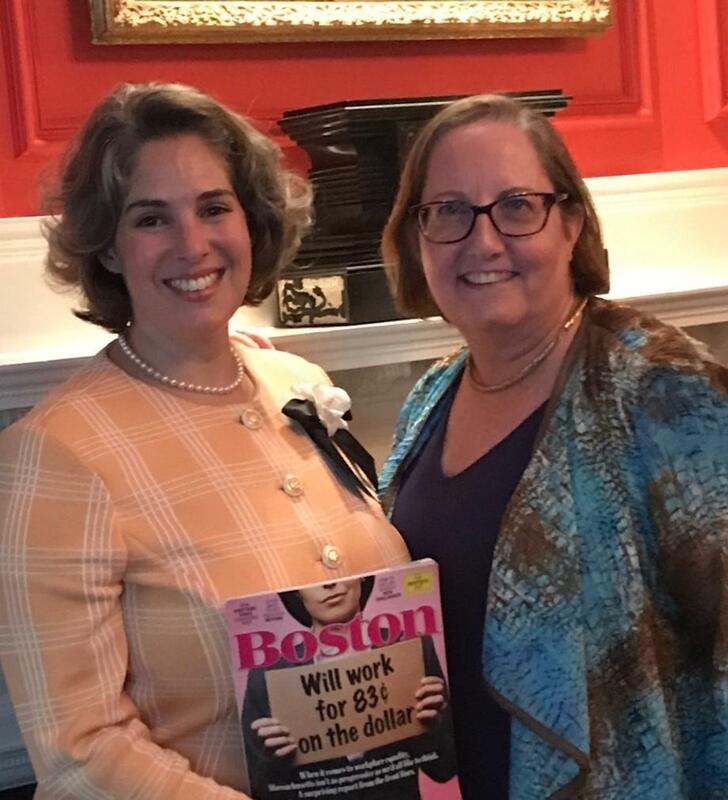 At my client education event in September, I reminded my audience of the Boston Magazine August cover with a woman holding a sign, “Will work for 83 cents on the dollar”. A topical subject, many of my clients wanted to learn more about how to ask for more pay in current jobs or how to negotiate new opportunities. I am not an expert in pay negotiation, so I brought one to my clients. Katie Donovan of Equal Pay Negotiations LLC was the architect behind the MA Equal Pay Law and my guest speaker. Do not accept a job without negotiating first. Most hiring managers expect you to negotiate. Women should consider asking for about 20% more than the offer following the pay gap data. Go online to research the job market and company financials. Headhunters are a great resource. They have actual postings available and compensation information. You shouldn't negotiate pay and benefits until you have an offer. An offer should include: title, pay amount, start date, and to whom you report. Collaborative technique is the most successful style of negotiating for women. Asking questions, rather than making statements typically works best. Understanding what success in the job would entail should be part of the interview process. What accomplishments are required? What is it going to take to be successful including how many hours a week will you have to work? Being clear on what you are expected to achieve will give you good guidelines for success in the position. Equal Pay Negotiations LLC, Katie Donovan, Sandra Gilpatrick and LPL are separate and not affiliated. The opinions voiced in this material are for general information only and are not intended to provide specific advice or recommendations for any individual. All performance referenced is historical and is no guarantee of future results. All indices are unmanaged and may not be invested into directly.